On September 6, 100 U.S. Senators began final voting on the ‘Leahy-Smith America Invents Act of 2011’ which will stifle U.S. innovation, growth of new American businesses, and long-term job growth in America. This legislation should more appropriately be called the ‘Leahy-Smith Trade Secret Protection Act of 2011,’ because it will encourage and reward keeping America’s innovation and new discoveries secret. This concept of secrecy attacks the very foundation of our patent system put into place by our Founding Fathers. Our entire patent system has, for over 220 years, been based on the concept of individuals disclosing new ideas so society will advance more quickly. The very purpose and the fundamental mechanism that makes the patent system work so well, is in a word, ‘disclosure’…of new ideas and discoveries. 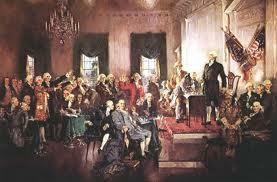 Our Founding Fathers saw that sharing new discoveries and innovation would promote progress in America. They had seen in history how keeping new ideas secret had retarded the progress of civilization. Historically that is what governments, craftsmen, merchants, academics, and scientists frequently did. The problem naturally with secrets is that one inventor does not provide the seed for others to come up with even better ideas and improvements. As a result, many secret processes have been either retarded or even totally lost over the ages because they were protected as such and died with their creators. Society loses that considerable benefit. From the making of violins by Stradivarius; to the Chinese keeping the making of fine porcelain a trade secret; for more than two thousand years the Chinese keeping the secret of silk the most zealously guarded secret in history; and, the making of concrete, known to the Romans, being lost for almost 2000 years. Patents are not designed to benefit the inventor so much as to benefit society as a whole; patents are designed to encourage inventors to disclose their new ideas to the public. Think about it for a second, if you had a good idea, you might want to keep it a secret if you could. If I have a good idea, let’s say for a new formula for making iron harder, i.e. making steel, why do I want to share it with a competitor, cause he’ll just copy it. So we think to ourselves, how can we keep our ideas secret so others don’t find out. That might be good for you and me, for a while at least, but that would have an adverse effect on society and the economy as a whole. That is why the ‘useful arts,’ science, technology, and commerce have exploded since the birth of the American patent system; literally a million ideas have come forth. As a consequence, patents have protected new ‘start-up’ companies with new inventions so they can grow and create jobs. Our patent system has been a major factor in America becoming the greatest economic success in history and the envy of the world…at least until recently. American inventions have created new jobs and prosperity in America for over 220 years. Where would America be without the: steam engine, telegraph, telephone, airplane, electric light, television, radio, copying machine, etc.? But now the game is about to change…in a huge way. They do that with something they call ‘prior user rights’ (Sec. 5) which says that if you have an idea, and if you can build, use it and keep it secret for a year, someone with a patent can’t sue you for patent infringement , and you can keep on using it…forever. And just keeping something secret will certainly a lot less cheaper than going through years of time, expense and uncertainty getting and enforcing a patent under this new law about to be passed. If you can make it through the first year, there doesn’t seem to be much of a downside for secrecy. In fact there are many advantages to ‘hiding’ inventions First, you’re protected from any successful patent litigation; you don’t have to go through the cost, work and uncertainty of getting a patent; you don’t have to go through years, and years of enforcing and defending a patent; and you certainly ought to be able determine the value of your idea much easier than the value of a patent. For small companies without $ millions of financial resources to litigate a patent against the big companies for years, the choice becomes even easier. Why get a patent if you can’t afford to enforce it? And ‘prior user rights’ will ironically add more uncertainty to the value of patents, because no one will know for sure what ‘trade secrets’ are out there to detract from the value of a patent. In fact, if I’m a venture capitalist looking for investments, I’m going to see a whole lot less risk in investing in ‘trade secrets’ than in patents. Why? Because the value of the ‘trade secret’ is pretty easily determined once you get past the first year, which by the way costs very little; all you have to do is to tell time and you’re pretty much home free; whereas a patent can be challenged endlessly, and will be open to a lot of time-consuming and expensive questions under this new law. These fools in Congress are killing the golden goose. Not only is this a total contradiction of the Founding Father’s intent and 220 years of patent precedent, it is guaranteed to stifle U.S. innovation, growth of new American businesses, and long-term job growth in America. This ill-conceived ‘prior user rights’ provision will encourage many new manufacturing, industrial, business, chemical, computer, biotechnology, nanotechnology, and medical “processes,” “machines” and “compositions” to be hidden from the wealth of knowledge of our society . That list pretty much covers all of burgeoning technologies as I see it. I’m interested to see how this slows down biotechnology research and development in particular. Unfortunately for the public, Congress has jumped on a speeding train that is out of control, and it doesn’t appear that anything can stop it at this point… even reason. What a mess they are creating! Because we are unable to enforce patent protection in Asia, and unable to prevent literal copying. We spend man-decades of highly skilled (and expensive) engineering time to design a new IC. The IC goes into mass production in some successful product. It gets rapidly reverse engineered in Asia. Nearly direct copies of the part soon appear, and can be priced at only silicon-cost, without the huge development costs. We visited several of these Asian “design centers” to ask them how they do it, under the guise of possibly utilizing their services. But even that guise was not really necessary, because they were proud of their “design method”: They do a layer-by-layer stripping and micro-photographs, and create a direct schematic from that. They convert the digital logic into standard cells, and then re-Place-and-Route using “their own IP” (the standard cells). For the analog portions, they use the layers as-is, but rotate or flip them 90 degrees so that it looks different. Then end result is what they claim is their own IC and their own IP, and it looks quite a bit different from our ICs. But, during that entire process they were simply “turning the copy crank”; not actually designing anything from concept. Fighting this copying at a trademark level won’t work (it looks different). Fighting this at a patent level is extremely time consuming and expensive. Excellent points. This is why I have suggested that real patent reform requires some sort of reciprocity between countries on patents. This would lower the cost of getting patents internationally by a factor of 5-10x and would significantly increase the value of obtaining a patent, which would make it easier to obtain funding. Do you mind if I use your comment as part of a post?